https://stevelaube.com/change-weve-seen-you-before/ “Change always seems to occur faster than you think but often slower than you think.” He makes good points. Actually, I prefer the paperback tbh. It is easier to take with you. The Kindle you have to worry about flying off the dash or seat and hardbacks can be a missile in the same capacity. http://www.thisishorror.co.uk/tih-202-kristi-demeester-on-julia-camerons-morning-pages-success-vs-anxiety-and-diversity/ “In this podcast Kristi DeMeester talks about Julia Cameron’s Morning Pages, Success vs. Anxiety, Diversity, and much more.” Part Two. http://www.fromthemixedupfiles.com/2018/04/dogs-skunks-writing/ “Fortunately, there are writing-based insights to be gained from a pair of odoriferous mutts. Here are three lessons I’ve learned about dogs, skunks, and writing:” Good lessons! http://annerallen.com/2018/04/amazon-paid-reviews/ “This is because Amazon fights paid review violations with robots, which are wrong more often than not. And they’re scaring off real reviewers.” I may try and do the Kobo or Barnes and Noble reviews, depending on their policies. When I’ve done reviews, a lot of times, I can’t review them on Amazon as their not up yet and then I forget to go back and post the review when their available. The trouble is Netgalley gives us so many days to read the book, which is fine, but when we’re done, we can’t review on Amazon because it’s too early. Which is kind of why I prefer books that I bought, or arcs I receive, that are already out there, but this doesn’t get good ratings on Netgalley if you’re not reading their newer ones. https://www.suecoletta.com/dna-phenotyping-unmasks-golden-state-killer/ “DNA carries the genetic instruction set for an individual’s physical characteristics. By determining how genetic information translates into physical appearance, it’s possible to reverse-engineer DNA into a physical profile. Parabon Snapshotreads tens of thousands of genetic variants — aka “genotypes” — from a DNA sample and uses this information to predict what an unknown person looks like, including genetic ancestry, eye color, hair color, skin tone, freckling, and face shape from any ethnic background, even with people from mixed ancestry.” Scary what he got away with. So glad he’s caught! https://coldhandboyack.wordpress.com/2018/04/22/thats-a-wrap-2/ “It was a very productive weekend for me. It didn’t involve any new fiction, but I got a lot done. For three daysI worked on interviews for Lisa Burton Radio. I never got them all done either, but I did all I could.” Good to know my reviews don’t have to be terribly long like I feared, lol. https://culturevultureexpress.wordpress.com/2018/04/25/socs-april-21-18-heart/ No one made her heart skip like she did. A breathless radiance of compassion. Filled with love. She seemed so natural and such a world apart from so many people she knew. All openness and kindness. All wonderful wit and comebacks that came at you so unexpectedly. She made her feel giddy with happiness. Such a nice feeling. She made her feel like goodness was alive and well in a world where it didn’t always feel like that sometimes. https://robbiesinspiration.wordpress.com/2018/04/24/writephoto-waiting-for-an-answer-a-poem/ I posted this poem entitled Waiting for an answer in response to Sue Vincent’s weekly challenge: https://bakeandwrite.co.za/photo-prompt-waiting-for-an-answer-a-poem-about-chronic-illness/. https://thepbsblog.com/2018/04/24/her-bended-knee/ a generation held together. https://chimerapoetry.wordpress.com/2018/04/24/the-pen/ it’s the pen that guides my feet. https://acflory.wordpress.com/2018/04/24/free-and-permafree/ “In marketing terms, this is called a ‘loss leader’, meaning that revenue is lost from one book in order to lead potential customers to other books that are not free. Given how hard it is for Indies to be ‘discovered’ in the first place, permafree can be a very powerful marketing tool, but only if you have one or more series. Make the first book in the series free and hope like hell that people like it enough to buy the rest.” I wish I could’ve taken advantage of the permafree books but kobo said it wasn’t available in the states. I do have her How to Print Your Novel in Createspace though. https://donmassenzio.wordpress.com/2018/04/25/this-week-in-indie-publishing-55/ “In a groundbreaking study of more than two million books published in North America between 2002 and 2012, scholars found that books by women authors are priced 45% less than those of their male counterparts. The researchers, sociologist Dana Beth Weinberg and mathematician Adam Kapelner, both from Queens College-CUNY, say there is a lot more to the story than can be gleaned from this price gap alone.” This is a shame. https://www.janefriedman.com/how-to-use-adjectives-wisely/ “With modifiers, you want to choose your battles. Just because every noun offers itself up for modification(s) doesn’t mean you should modify it. By serving some nouns plain, you give more distinction to those you embellish. Think of adjectives as ketchup or hot sauce; put it on everything and it quickly wears out its welcome.” I’m working with this in my own writing/editing. https://www.helpingwritersbecomeauthors.com/your-ultimate-first-chapter-checklist-pt-3-introducing-the-story/ “The reason the first chapter of a story is so complex is because it bears a triple load of responsibility. First, it must hook readers. Then it must offer a compelling and interesting scene of its own. And finally, it must set up the entire story to come. Today, let’s dive into our third and final first chapter checklist: setting up the story.” More good stuff to help with editing! http://blog.janicehardy.com/2018/04/a-tip-for-getting-through-hard-to-write.html “Even when a draft is going well, there’s bound to be at least one scene in a novel that gives us trouble. Maybe we’re not sure how it unfolds, or we’re missing a key emotional component, or it might even be that we’re not ready to write it or just don’t want to deal with whatever the scene covers right now.” I do this. This is the more telling part of my drafts. I just tell how I think the scene will play out and then move on. Sometimes, though, I’ll just note what’s going to happen and continue. http://writersinthestormblog.com/2018/04/10-success-tips-from-stephen-king/ “Last month, I shared K. Rowlings top tipson writing and success, and it was a tough choice between her and Stephen King. Those two write such wonderful books because they understand love and fear. Have you read Stephen King’s On Writing? Seen The Shawshank Redemption (my favorite movie ever) or The Green Mile? King is a writer who sees the visceral underbelly of courage and the tenacity of the human spirit.” I like #7. I don’t like to say goodbye to my characters either. http://www.rubyslipperedsisterhood.com/5-tips-for-creating-fresh-twists/ “The title to this post should be longer. It should really read, 5 Tips to Creating Fresh Plot Twists that No One will see Coming and Will Leave your Readers Breathless and Begging for More.” Some good ones here! http://www.thepassivevoice.com/?p=88027 “Across the broad range of different types of books and different varieties of publishers with which PG has dealt, as a group romance publishers are the worst. Worst contracts, worst behavior, worst attitude towards writers.” This makes me nervous as I write romance. Getting copy of Kristin Kathryn Rusch’s How to Negotiate Anything. Better yet, maybe I’ll self-publish the romances. http://booksbywomen.org/the-long-and-winding-road-to-my-agent-by-catharine-riggs/ “I don’t regret the years it took me to reach my goal; each person’s journey is unique. For me, the agent arrived after I discovered what I truly loved to write. Add to that persistence and patience—like my characters, I never give up. For that reason, I believe there will come a day when Willa, my first authentic heroine, leaps from the published page.” This is what it’s all about. https://jessicabakkers.com/2018/04/24/lit-power/ “Literary agent; friend or foe.” A question I’m trying to decide as well. https://charlesfrenchonwordsreadingandwriting.wordpress.com/2018/04/28/sallys-cafe-and-bookstore-author-update-jack-eason-sacha-de-black-and-k-d-dowdall/ “Welcome to the Friday edition of my Cafe and Bookstore Update, with news from authors on the shelves. The first author with a new review is Jack Easonwith his historical novella Autumn 1066.” Some authors to check out. https://nicholasrossis.wordpress.com/2018/04/27/25-idioms-from-the-world-of-logging/ “A while ago, I had written a post with 45 idioms from the world of boxing. As JSTOR Daily reports, in 1942, writer Elrick B. Davis collected a glossary of terms tied to the old logging tradition.At the time he was writing, the lumber industry had begun to see American forests as giant tree farms. Loggers used trucks and tractors to bring in the harvest, and treated the job like any other, living in towns near forested areas with their wives and children. Thanks for adding my post on comedy and storytelling here. It’s an impressive list I’m proud to be part of. Another fantastic post from Traci Kenworth with a comprehensive list of blog post summaries and their links. 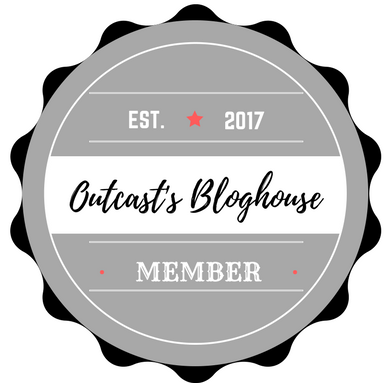 This offers all of us a chance to be showcased and to also find other blogs to follow… Well done Traci as I know how much effort goes in to preparing this list for us. Another great round up Traci! You’re welcome, Tina! And thank you! Thanks for including my poem, Traci. I spied a few posts that I missed and I am off to read them now. Thanks for including me, twice, Traci. I really appreciate it. Check out these great writing links from the When Genres Collide blog. I’m honored to have a couple of posts included. You’re welcome, Vashti! Happy Friday! Thanks for the pingback, Tina! What an amazing list. I love the ‘Pets’. Everything I write has animals in it. This will be useful.